Here are three examples of B2B companies that have mastered the art of customer loyalty. Salesforce is one of the biggest brands in B2B, with more than 150,000 customers. Making every one of these customers feel special and connected with the brand presents quite the challenge. Yet, the cloud-based software company has developed a scalable, albeit sticky, way to do so. Stickers featuring the Salesforce logo, mascots and more are passed out at nearly every Salesforce event, including at product launches, community meetups and from sales reps on the road. In a recent blog, the company said “stickers are handed out like candy” and it has completed more than 600-700 sticker orders to date. 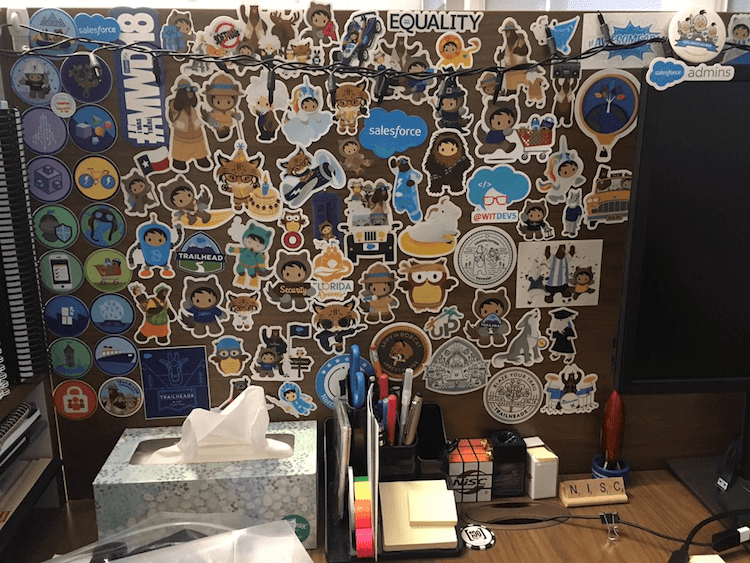 Some Salesforce users have collected as many as 190 stickers, which can be found proudly displayed on their laptops, adorning their desks or neatly organized and protected in folders. At Dreamforce and other community events, you can find several Salesforce users swapping stickers and comparing their collections. The webinar software provider routinely invites users to share their Webinerd pride on social media. But during the holiday season this year, the company took it a step further. Customers who shared what being a Webinerd means to them were rewarded with an ugly Christmas-style sweater that proudly proclaims “Webinerd” on the front. 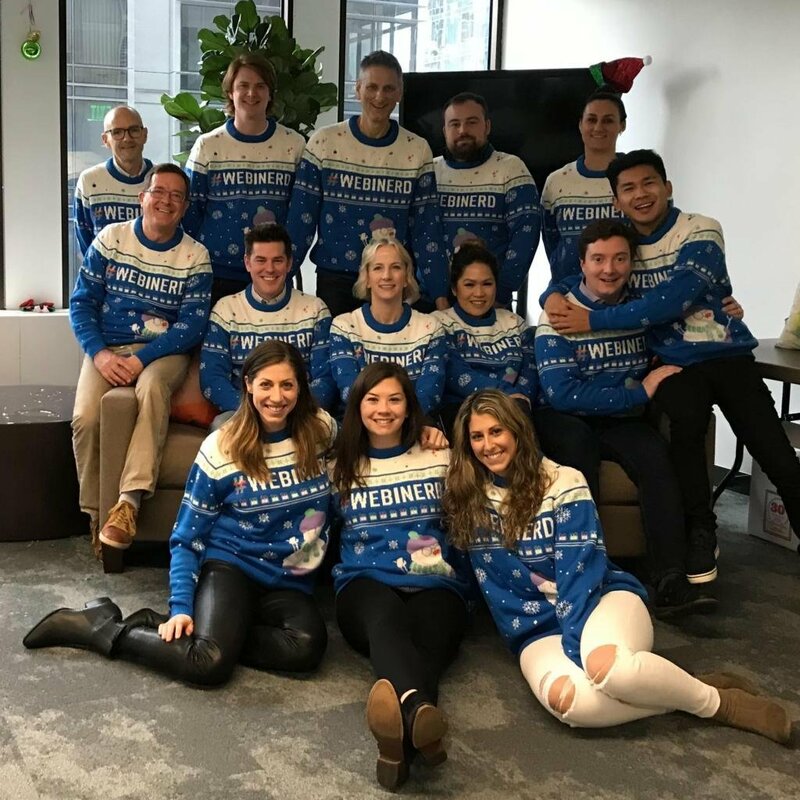 The cozy sweaters served to not only get users in the holiday spirit, but to also celebrate their webinar successes in 2018 and inspire them to further enhance their webinar skills in the New Year. The holidays may be over, but at Ceros, the season of giving continues all year long. The interactive content creation software provider regularly sends care packages and other gifts to its customers. 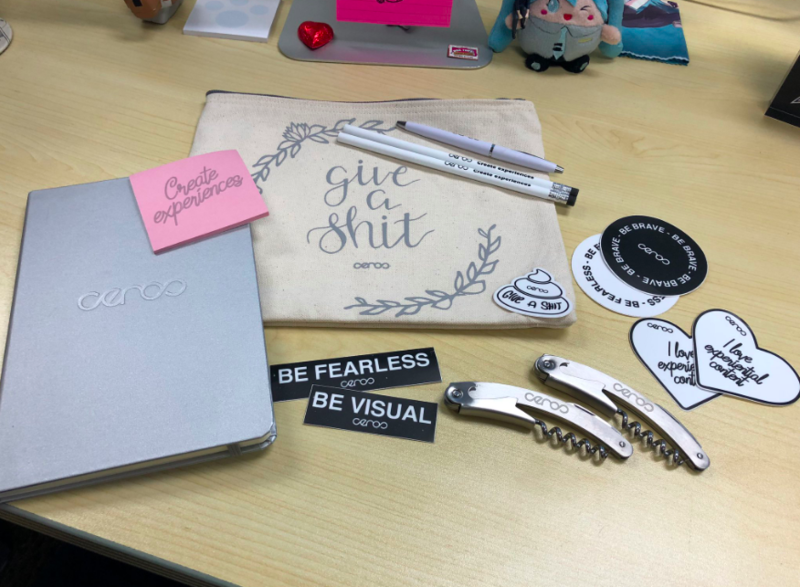 For example, users who leave a review on G2 Crowd may receive care packages stuffed with branded stickers, notebooks, canvas bags and more in the mail. In addition, the company is currently offering free calendars featuring the dogs of Ceros dressed in costumes. But that’s not all — late last year, the company created limited-edition T-shirts with its motto “Make something cool” written across the front. The shirts were awarded to customers who successfully signed up five or more friends for the Ceros Originals newsletter.